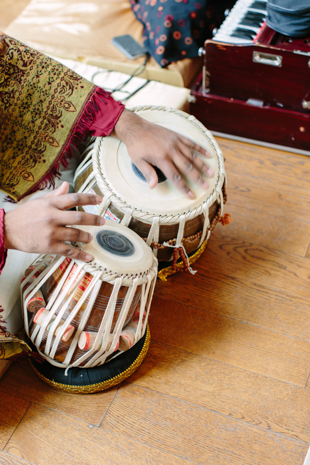 One of the reasons why I’m in love with my job is the fact that I get to experience beautiful cultures and traditions, and this Harding Waterfront Estate Wedding is no exception! 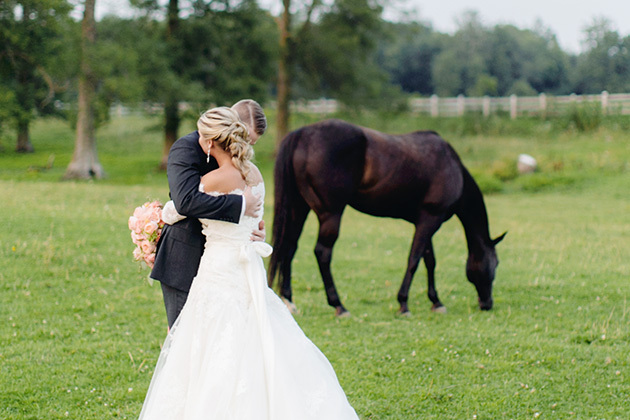 What’s better than a Harding Waterfront Estate wedding? 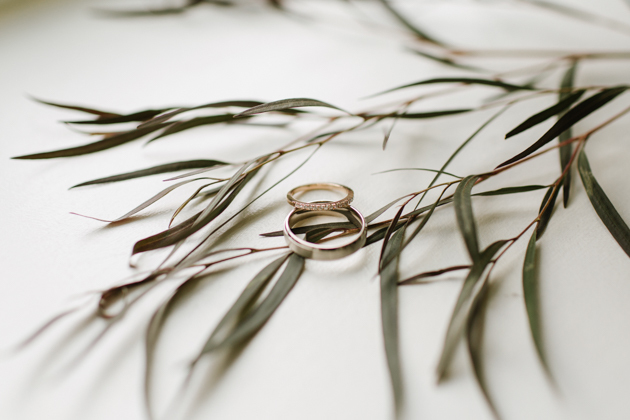 How about TWO wedding ceremonies on the same day … with the same couple?! 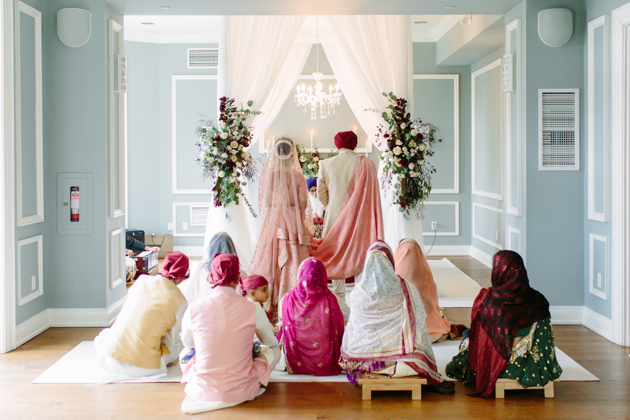 That’s essentially what Preet and Milan’s wedding was – the joining of two cultures and families with two different traditions into one magical wedding day. We’re just sayin’… there are some really awesome moments to be seen! 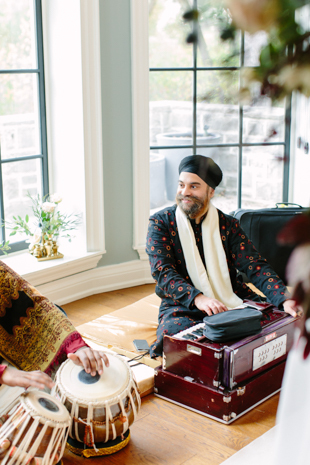 Preet and Milan are two living legends. 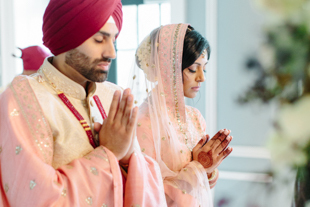 Coming from two different backgrounds (she’s Hindu and he’s Sikh), organizing one wedding day that would fit all of their culture’s unique traditions and elements is not an easy feat. 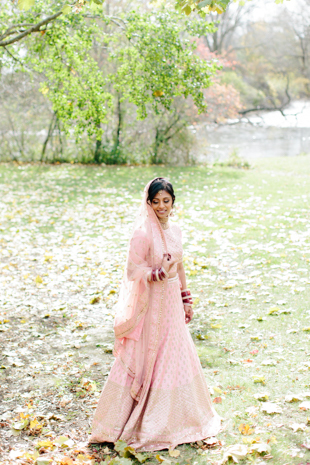 However, Milan, Preet, and their families made it look so effortless and cool, and had tons of fun along the way. 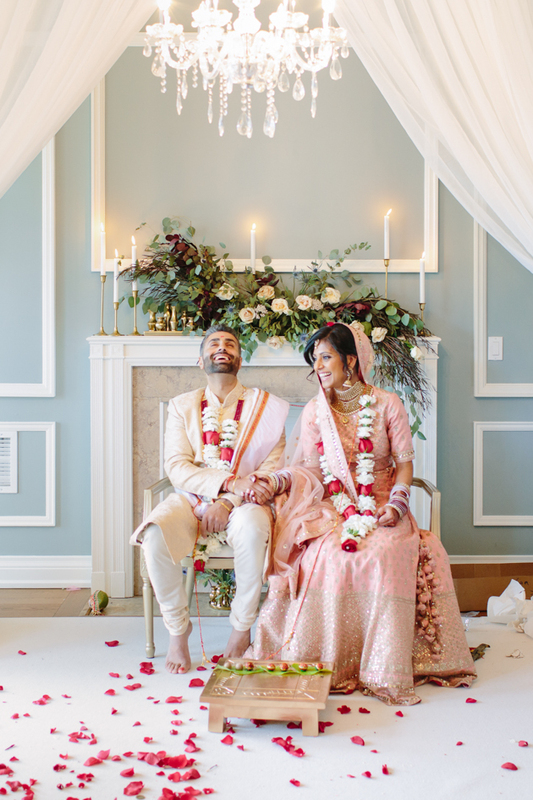 Aside from celebrating their unique backgrounds, Preet and Milan wanted their Big Day to be about two families coming together to share their joy. Overlooking the picturesque waters of Lake Ontario, Harding Waterfront Estate was the ideal location for their intimate celebration. 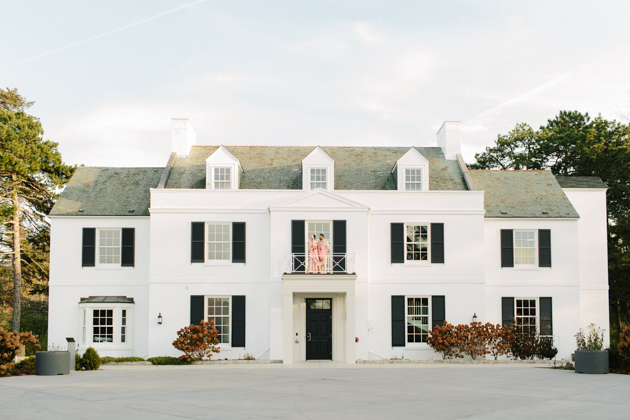 Harding House, the wedding venue’s main building, is a charming mansion rich with history. 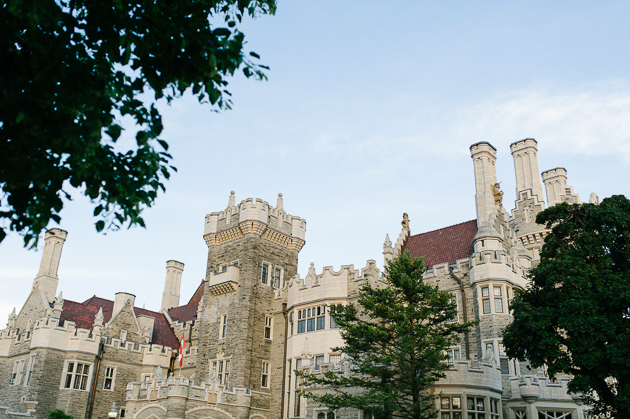 Its original outdoor facade remains intact maintaining its vintage vibe, while its restored indoor features offer a modern and timeless atmosphere. 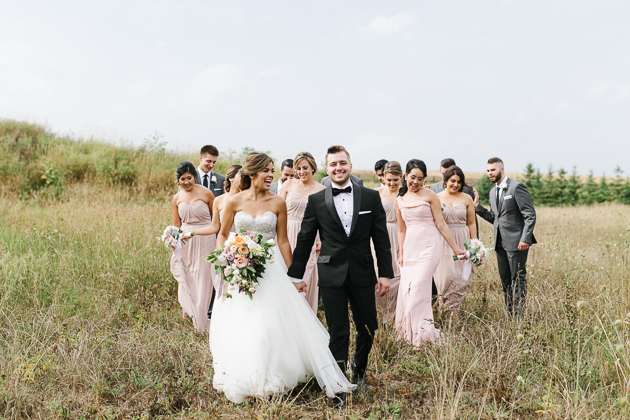 The couple’s closest family and friend gathered together in an elegant ballroom early morning on that day. 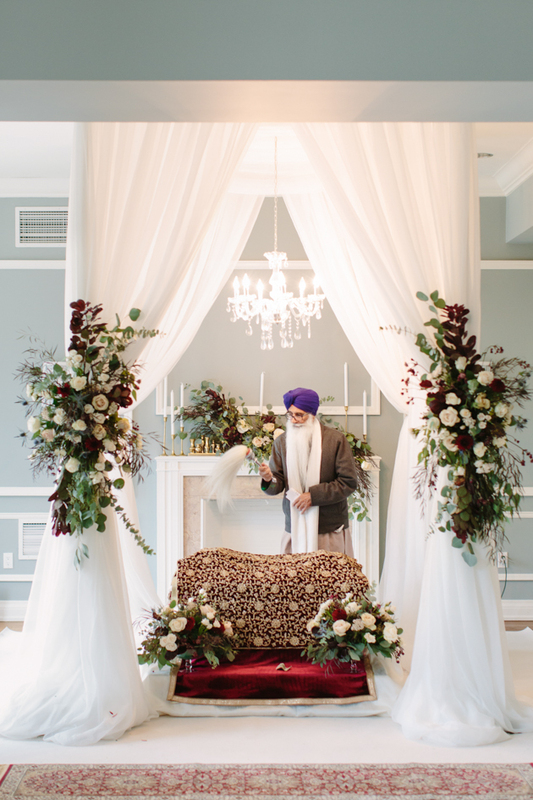 The wedding started with a Sikh ceremony to pay tribute to Milan’s family roots. 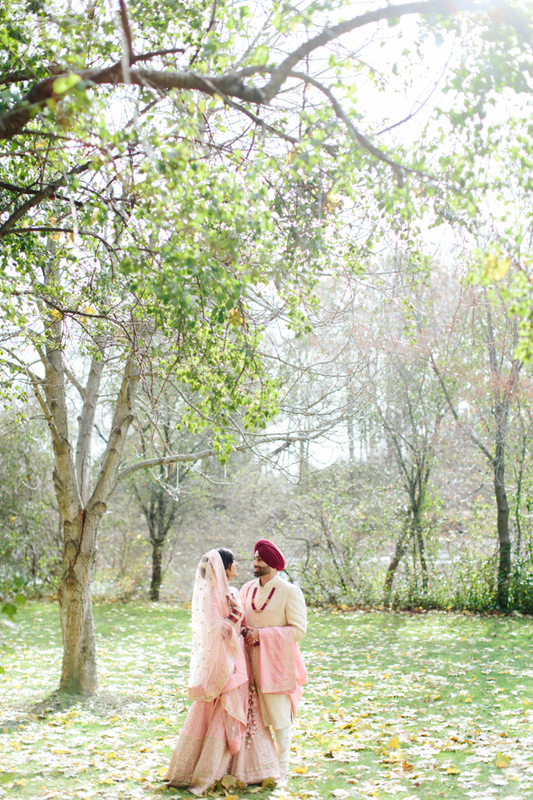 Facing the room’s vintage fireplace, the ceremony was overflowing with a soft, magical morning light. I really loved the toned down floral centrepieces surrounding the ceremony site that added a welcome touch of modern elegance. 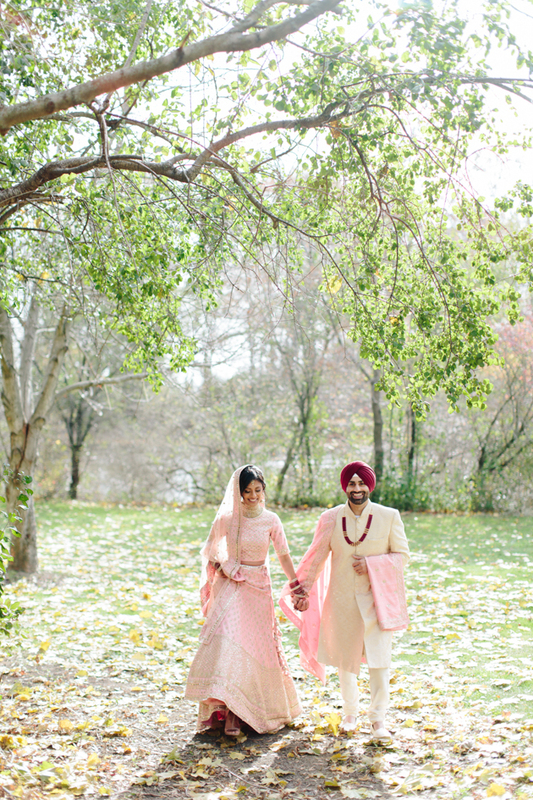 Once the two were officially declared married according to Sikh traditions, I took Milan and Preet for a small creative session on the venue’s beautiful property. 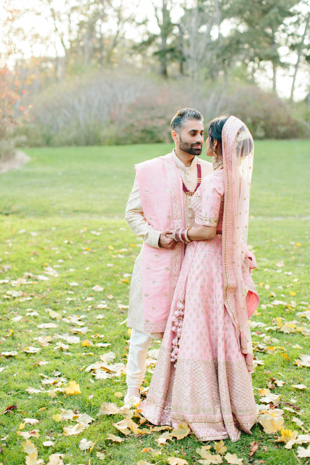 I knew that Preet spent a lot of time choosing and perfecting their wedding outfits, and I wanted to make sure that their wedding looks are captured in a flawless, elegant and timeless way. It didn’t really feel like a photo shoot as we were having such a great time, we didn’t even notice how the time passed! 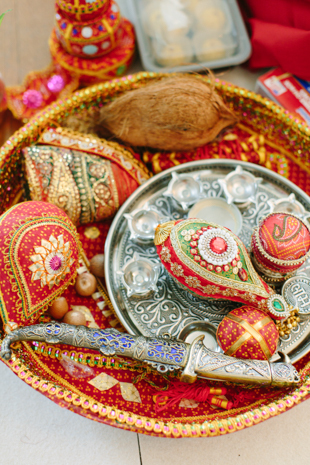 By the time we finished our small creative shoot, it was time to start the Hindu ceremony. 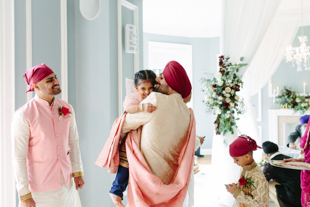 There was a lot of laughter, tears of joy and happy chatter filling the room as the guests welcomed Canada’s newest family. 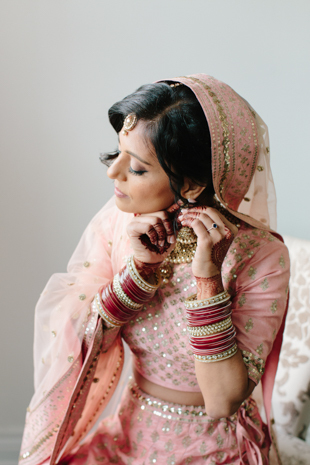 A year after their wedding, I met up with Preet and Milan at their modern home yet for another joyful occasion. Their little daughter was born last month, and we loved meeting her a few weeks ago! 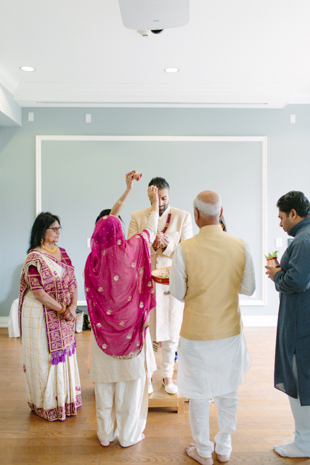 Preet and Milan, thank you so much for making us a part of your family history. We are looking forward to seeing you at our studio soon!